The NFRC (National Federation of Roofing Contractors) is warning roofers that there is a Local Authority Building Control Notification ‘Purge’ underway which will affect building owners having roofing work done and roofing contractors. The clamp down started on the first of June and involves site visits by the LABC (Local Authority Building Control) to ensure that reportable jobs are registered and are being carried out legally and safely. 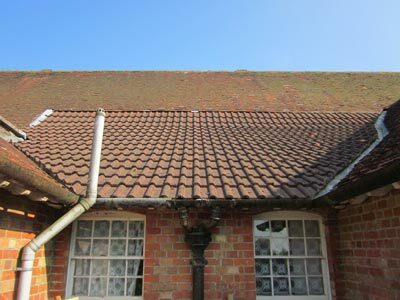 This will affect roof work on any type of building, domestic, industrial or commercial. So if you are having roofing work carried out make sure your contractor is a member of the Competent Person Scheme for roofing. This purge is happening in an undisclosed five pilot areas at the moment, but their findings may influence decisions to extend the purge to other areas. What happens if my Roofing Work is not registered? If the purge discovers any work that should be registered and is not, then the building owner will have to pay to ensure the work is regulated. The roofing contractor will have to explain why they are not complying with the law. The LABC can impose fines on any company not working within a legal framework, and they have the power to go back and review any work carried out by them in the last two years to check they are compliant with Building Regulations. The NRFC advise all roofing contractors who are not yet part of the scheme to join CompetentRoofer, and more information on the initiative is available on the CompetentRoofer website. To find out more about how to employ reliable tradesmen head over to our Home Improver’s Protection Solution section on DIY Doctor, where you will find a section on Finding a Tradesman you can trust, as well as a free building contract to protect your interests when you are having work done on your home. The LABC have released a series of videos to explain Building Control and what it means to you as a homeowner, here is their general guide to building control video. Congratulations to the winner of our X-TEX Competition!